Results of a DPP analysis of 5 different products. Item A is a slow-moving product with high gross margin. Item E is a fast-moving product with low gross margin. 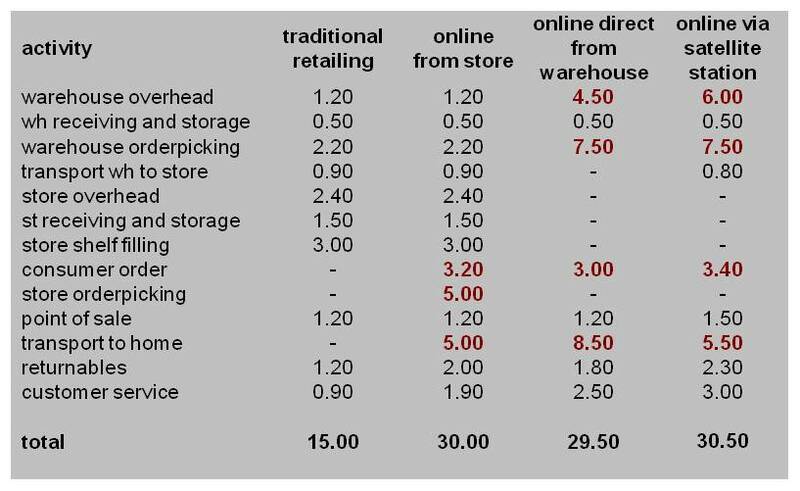 Items B, C and D are medium-moving products with average gross margins and different prices. 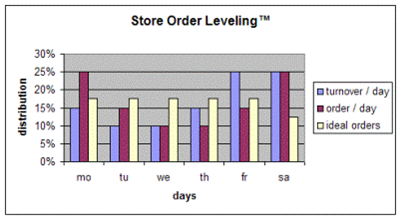 Using a traditional profitability ratio (gross margin per week) and even gross margin per week per m3 shelf space, the fast moving product E appears to be the most profitable. Item C is most profitable. 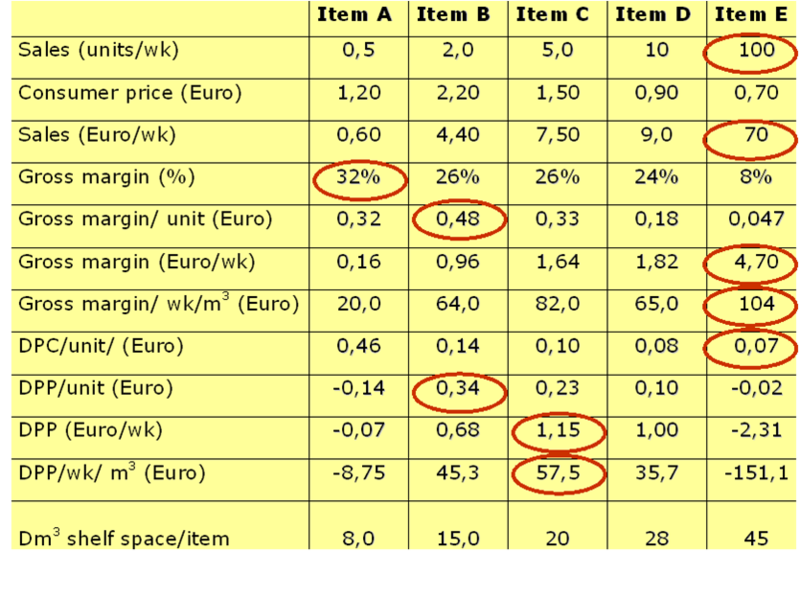 Using the DPP model and after assigning direct product costs to these products, item E shows to be a mega looser, the high gross margin product A also shows a net loss, and only the other 3 products appear to deliver a net profit. DPP analysis had a considerable impact on assortment tactics and pricing strategy. 2% cost reduction. 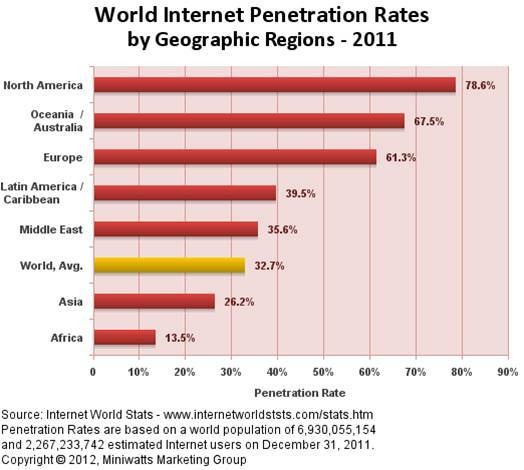 Resource costs are normally well documented and controlled. Because resource costs are continually reported and controlled, there is often no opportunity (<2%) for substantial cost reduction. 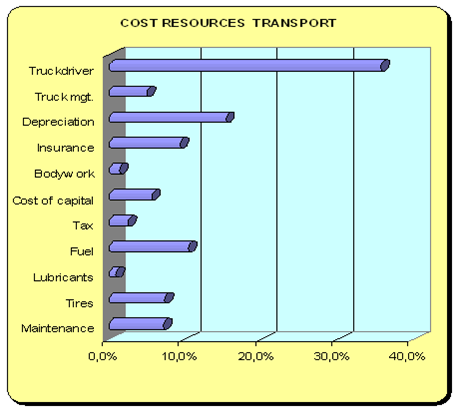 See the example for transportation resource costs in the next diagram. 20% cost reduction. 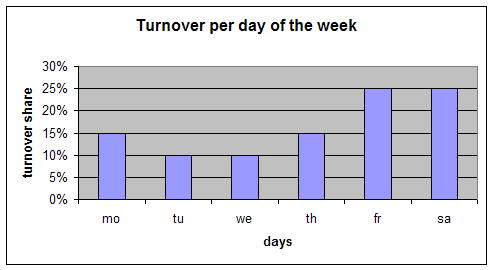 Activity costs are normally not reported by classical administration systems. To show these costs, a special activity cost driver model is employed. The advantage of analyzing activity costs is the possibility to substantially (>20%) reduce costs by improving the process. 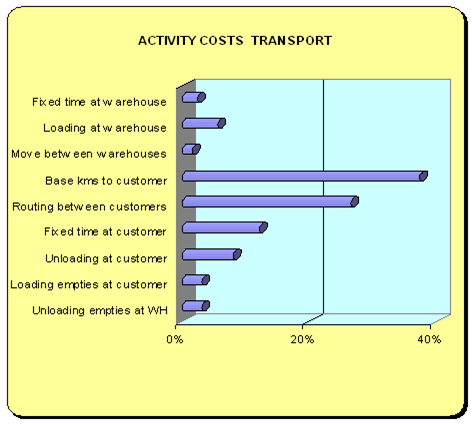 In the transportation example the activity cost reduction possibilities are: improve load factor, reduce delivery frequency, reduce waiting times, etc.